This was a book I could not read in public. By the end I was a teary wreck. It’s brutally beautiful. Written without restraint, showing us how incredibly hard life can be with an autistic child, the gorgeous Jonah. With utterly real characters, who are flawed and yet courageous, the book is like nothing I’ve read before. An absolute must-read. For two weeks Gill Paul had my heart. After falling in love with the characters and beautiful writing in Women and Children First, I was beyond excited when I got my advance copy of The Secret Wife. This huge story spans generations, joining present day Lake Akanabee, New York State with 1914 Russia, both world wars, and much more. At its heart is the pulsating love story between Cavalry Officer Dimiti and Duchess Tatiana, who are torn apart on an infamous evening in Russian history. We learn their tale along with modern-day Kitty, who has escaped from London to a haunted, mystery-filled cabin in the US after a betrayal. To cope, she rebuilds the cabin, discovers its secrets and those of a long-gone ancestor. Gorgeously told in lyrical language, with warm, real and absorbing characters, this book is one I will read again, and therefore likely not lend to a soul. They will have buy their own. It was simply magical. At the last line, tears rolled down my cheeks. This was such a classy read. It pulsed with atmosphere and the characters bristled with presence, especially the very real and flawed Karin Muller. I loved the two stories. I love it when you get both sides, two perspectives. Highly recommend, and I look forward to more from David, which won’t be too long I hear. A lot of my favourite books have utterly memorable settings, where the place becomes one of the characters, and Exclusion Zone is no exception. I’ve always been a little intrigued by what happened at Chernobyl and it was pure genius to have such a dark story set here, where the trees grow wild and the animals are terrifying. Detective Alex Harvey and Elian Gould are realistic and fascinating people who I rooted for and couldn’t get enough of. The past – 1986 and the explosion – blended perfectly with the present, coming together in a brilliant climax. I literally devoured the second half of this book in hours. What a beautiful book. It was thought-provoking, moving, gorgeously written, and utterly addictive. I escaped into its pages for a few memorable weeks. The sense of place (both physically and time-wise) was so vivid, the issues still relevant, the characters positively beating through the pages, and the main love story just wonderful. I couldn’t recommend it more. I was haunted by this book. Haunted. I closed the last page and quite literally sat for a while, in quiet, gathering my thoughts. It was so exquisitely and patiently written, so gentle yet somehow brutal, and all the reveals (hate the word twist as it belittles this book) were shocking/surprising and yet somewhere in my heart I know I knew what they would be. This was a book about love, forgiveness, and identity. I’ll never forget it. Ms Jennings outdid herself. This was so beautifully written, so patiently told that each reveal is natural and yet still shocking. Reynolds vividly evoked the claustrophobic/enclosed feel of a 1940s Southern town in America, where secrets naturally festered. Charlie is a flawed, likeable reporter, damaged by divorce and a recent accident, who I grew immensely fond of and was with every step of his journey in uncovering the murderer. The cleverly woven strands all pulled together in an amazing climax. This was just an amazing, un-put-down-able read! Aside from the exquisite writing, what I loved was the characters. These were real people – people you were rooting for, and that includes Adam. In fact, particularly Adam, which is an amazing feat to pull off. Don’t think I’ve ever read a book quite like it. Wonderful. Will think about it for a long time. I devoured this in about thirty-six hours. Could not stay away from it. Thought about it when I wasn’t reading it. A Suitable Lie explores a topic not easily discussed, and not often talked about, but one that really needs such attention – and Michael J Malone writes so beautifully and honestly about it. It will linger long in my mind. Cannot recommend enough. This was a stunning book. Left me breathless. The prose was so rich and poetic. The themes so cleverly entwined, a mixture of letters, diaries and fairytales (all my favourite forms!) merged with a modern-day story of grief and loss. I was at that lighthouse, by the sea. I could smell, see and feel every moment. Just wonderful. I didn’t want it to end. This was the best yet by Nick Quantrill. I felt he really and truly hit his stride, somehow. The book was pacy, gritty, addictive and dark – totally Hull therefore. The characters were real – flawed, human – and their journeys satisfying. I really hope to have more from Anna Stone. Thoroughly recommend this. 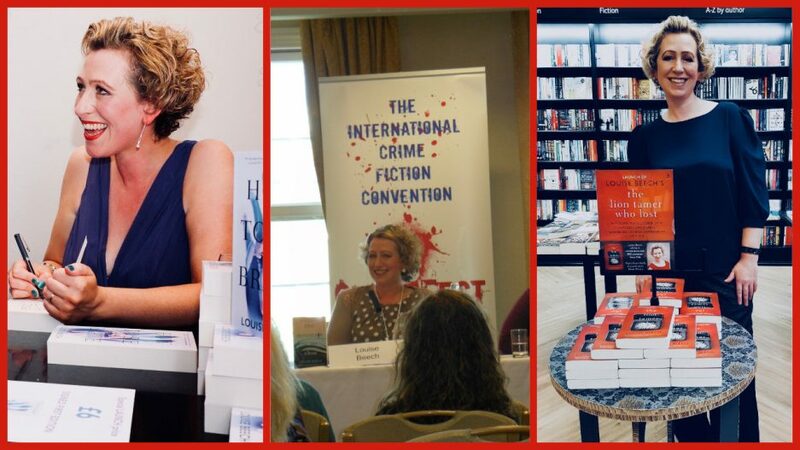 I must also mention that I discovered some great writers for the first time this year, including Isabelle Broom, Jane Isaac, Louisa Tregar, Yusuf Toropov,Amanda Prowse, Katie Marsh, Alison Taylor-Baillie, Nicky Black, Mari Hannah, Katy Hogan, Claire Fuller, and Tracey Scott Townsend. ADVANCE READS coming in 2017 that are GLORIOUS include Craig Lancaster’s Julep Street and Su Bristow’s Sealskin. I’m also dying for Steph Broadribb’s London launch of Deep Down Dead – I hear great things. Wow! When a wonderful author such as Louise Beech puts together her favourite reads of 2016 you just know they will be something special. The last thing I expected was for Flowers For The Dead to be included. I’m absolutely blown away! Thank you, Louise! I have just pre-ordered “Shtum” thanks for the info.